This is a design based on using a mix of traditional script and serif writing but with a contemporary twist by adding the bride and groom's initials to the background. 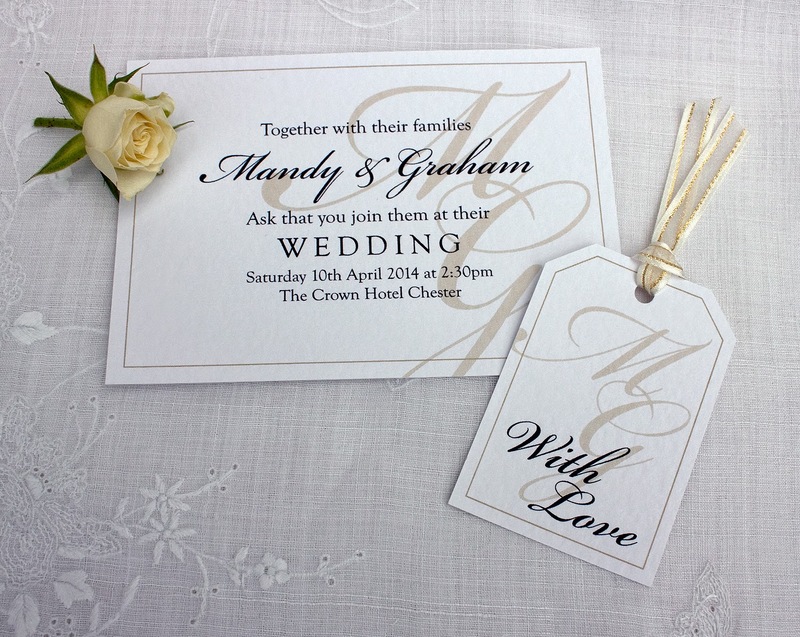 The initials and any outer border can match the colour scheme of the day, giving a very personal feel to the stationery. 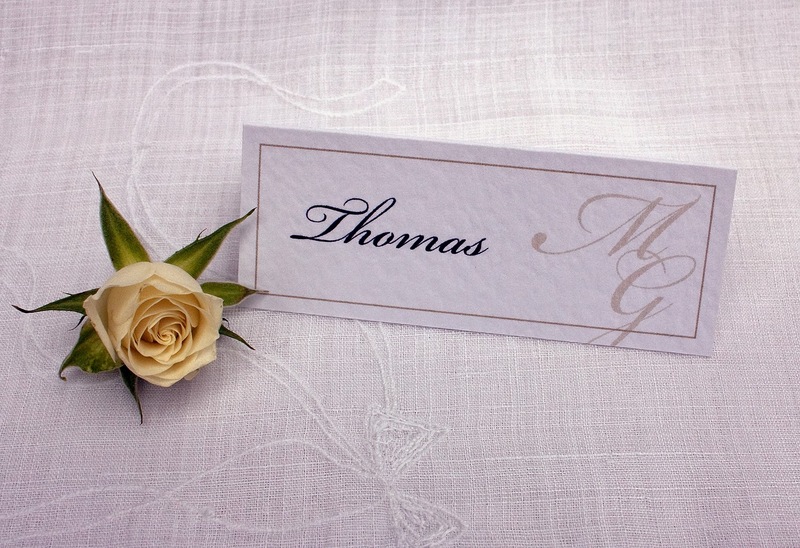 This invitation is printed onto a single layer of white, hammered effect, card.